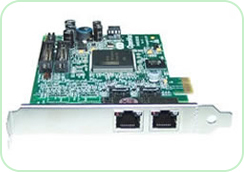 B100M S/T BRI interface card delivers great voice quality in the telephony systems. It turns your legacy ISDN BRI equipment into powerful Voice over IP devices and provides a soft migration path from ISDN technology to the new Voice over IP world. The B100M consists of two parts: the B100MM and the B100MS. The B100MM connects Mini PCI slot while the B100MS provides S/T BRI interface connection. B100M brings powerful ISDN BRI connectivity to your Linux machine. It comes with fully GPLed drivers for the Linux kernel. B100M works with Asterisk®, Askozia®, Elastix®, FreeSWITCH™, PBX in a Flash, trixbox®, Yate™ and IPPBX/IVR projects as well as other Open Source and proprietary PBX, Switch, IVR, and VoIP gateway applications. B200M S/T BRI interface card delivers great voice quality in the telephony systems. It turns your legacy ISDN BRI equipment into powerful Voice over IP devices and provides a soft migration path from ISDN technology to the new Voice over IP world. The B200M consists of two parts: the B200MM and the B200MS. 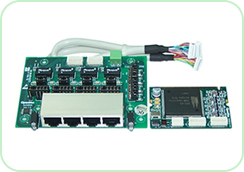 The B200MM connects Mini PCI slot while the B200MS provides S/T BRI interface connection. B200M brings powerful ISDN BRI connectivity to your Linux machine. It comes with fully GPLed drivers for the Linux kernel. B200M works with Asterisk®, Askozia®, Elastix®, FreeSWITCH™, PBX in a Flash, trixbox®, Yate™ and IPPBX/IVR projects as well as other Open Source and proprietary PBX, Switch, IVR, and VoIP gateway applications. B400E S/T BRI interface card delivers great voice quality in the telephony systems. It turns your legacy ISDN BRI equipment into powerful Voice over IP devices and provides a soft migration path from ISDN technology to the new Voice over IP world. The B400E brings powerful ISDN BRI connectivity to your Linux machine. It comes with fully GPLed drivers for the Linux kernel. Multiple B400E can be interconnected over an external PCM bus. The card’s active channel switching capability is also working over the external PCM bus. B400E works with Asterisk®, Elastix®, FreeSWITCH™, PBX in a Flash, trixbox®, Yate™ and IPPBX/IVR projects as well as other Open Source and proprietary PBX, Switch, IVR, and VoIP gateway applications. 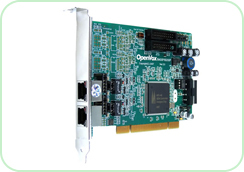 B400P S/T BRI interface card delivers great voice quality in the telephony systems. It turns your legacy ISDN BRI equipment into powerful Voice over IP devices and provides a soft migration path from ISDN technology to the new Voice over IP world. The B400P brings powerful ISDN BRI connectivity to your Linux machine. It comes with fully GPLed drivers for the Linux kernel. Multiple B400P can be interconnected over an external PCM bus. The card’s active channel switching capability is also working over the external PCM bus. B400P works with Asterisk®, Elastix®, FreeSWITCH™, PBX in a Flash, trixbox®, Yate™ and IPPBX/IVR projects as well as other Open Source and proprietary PBX, Switch, IVR, and VoIP gateway applications. 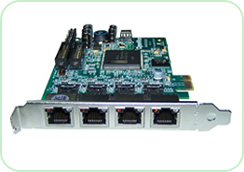 B100P S/T BRI interface card delivers great voice quality in the telephony systems. It turns your legacy ISDN BRI equipment into powerful Voice over IP devices and provides a soft migration path from ISDN technology to the new Voice over IP world. The B100P brings powerful ISDN BRI connectivity to your Linux machine. It comes with fully GPLed drivers for the Linux kernel. B100P works with Asterisk®, Elastix®, FreeSWITCH™, PBX in a Flash, trixbox®, Yate™ and IPPBX/IVR projects as well as other Open Source and proprietary PBX, Switch, IVR, and VoIP gateway applications. 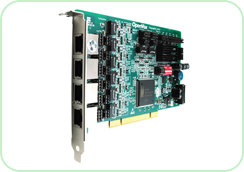 B200P S/T BRI interface card delivers great voice quality in the telephony systems. It turns your legacy ISDN BRI equipment into powerful Voice over IP devices and provides a soft migration path from ISDN technology to the new Voice over IP world. The B200P brings powerful ISDN BRI connectivity to your Linux machine. It comes with fully GPLed drivers for the Linux kernel. 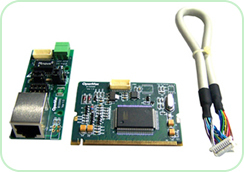 Multiple B200P can be interconnected over an external PCM bus. The card’s active channel switching capability is also working over the external PCM bus. B200P works with Asterisk®, Elastix®, FreeSWITCH™, PBX in a Flash, trixbox®, Yate™ and IPPBX/IVR projects as well as other Open Source and proprietary PBX, Switch, IVR, and VoIP gateway applications. 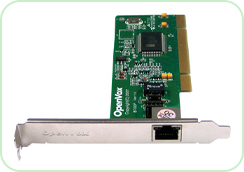 B400M S/T BRI interface card delivers great voice quality in the telephony systems. It turns your legacy ISDN BRI equipment into powerful Voice over IP devices and provides a soft migration path from ISDN technology to the new Voice over IP world. The B400M consists of two parts: the B400MM and the B400MS. The B400MM connects Mini PCI slot while the B400MS provides S/T BRI interface connection. B400M brings powerful ISDN BRI connectivity to your Linux machine. It comes with fully GPLed drivers for the Linux kernel. B400M works with Asterisk®, Askozia®, Elastix®, FreeSWITCH™, PBX in a Flash, trixbox®, Yate™ and IPPBX/IVR projects as well as other Open Source and proprietary PBX, Switch, IVR, and VoIP gateway applications. 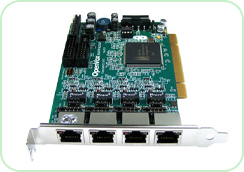 B800P S/T BRI interface card delivers great voice quality in the telephony systems. It turns your legacy ISDN BRI equipment into powerful Voice over IP devices and provides a soft migration path from ISDN technology to the new Voice over IP world. The B800P brings powerful ISDN BRI connectivity to your Linux machine. It comes with fully GPLed drivers for the Linux kernel. Multiple B800P can be interconnected over an external PCM bus. The card’s active channel switching capability is also working over the external PCM bus. B800P works with Asterisk®, Elastix®, FreeSWITCH™, PBX in a Flash, trixbox®, Yate™ and IPPBX/IVR projects as well as other Open Source and proprietary PBX, Switch, IVR, and VoIP gateway applications. B200E S/T BRI interface card delivers great voice quality in the telephony systems. It turns your legacy ISDN BRI equipment into powerful Voice over IP devices and provides a soft migration path from ISDN technology to the new Voice over IP world. The B200E brings powerful ISDN BRI connectivity to your Linux machine. It comes with fully GPLed drivers for the Linux kernel. 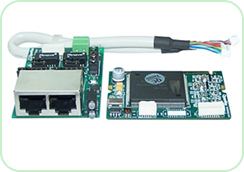 Multiple B200E can be interconnected over an external PCM bus. The card’s active channel switching capability is also working over the external PCM bus. B200E works with Asterisk®, Elastix®, FreeSWITCH™, PBX in a Flash, trixbox®, Yate™ and IPPBX/IVR projects as well as other Open Source and proprietary PBX, Switch, IVR, and VoIP gateway applications.